Illinois college students can once again apply for scholarships from the Illinois Sheriffs’ Association. Students need to live in Illinois and go to a college in Illinois. 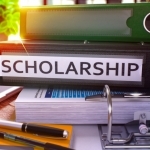 The LaSalle County Sheriff’s Office has one $500 scholarship to award. Applications can be picked at the sheriff’s office on Etna Road in Ottawa or online at ilsheriff.org and are due by March 15.